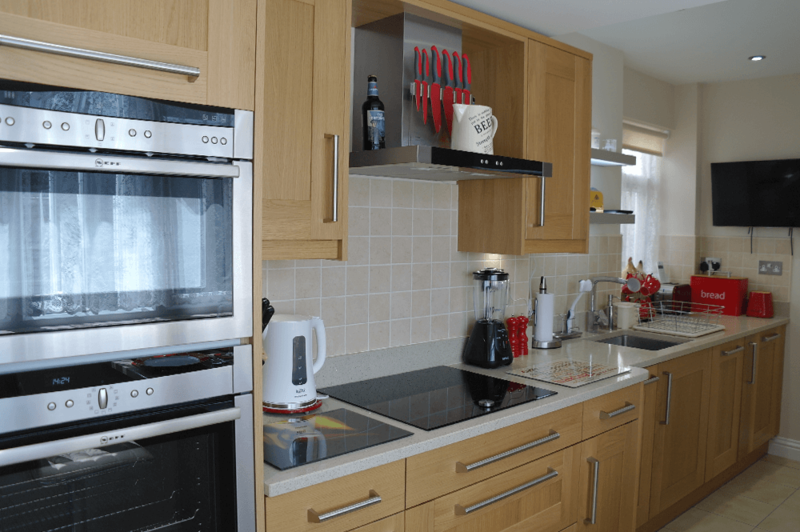 Here are a few photo’s of a installation we did in Kidderminster, creating more space, modernising the look and feel of the Kitchen and making the cooking area more accessible. 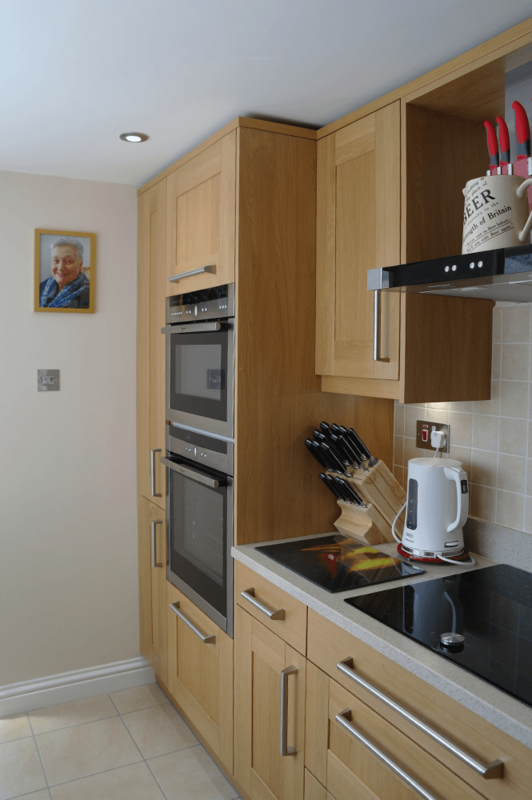 “We approached Kevin and Ashley in need of a new and updated Kitchen space as we struggled in such a narrow kitchen and with my mother becoming very poorly, she needed better access to the cooking facilities and cupboards. 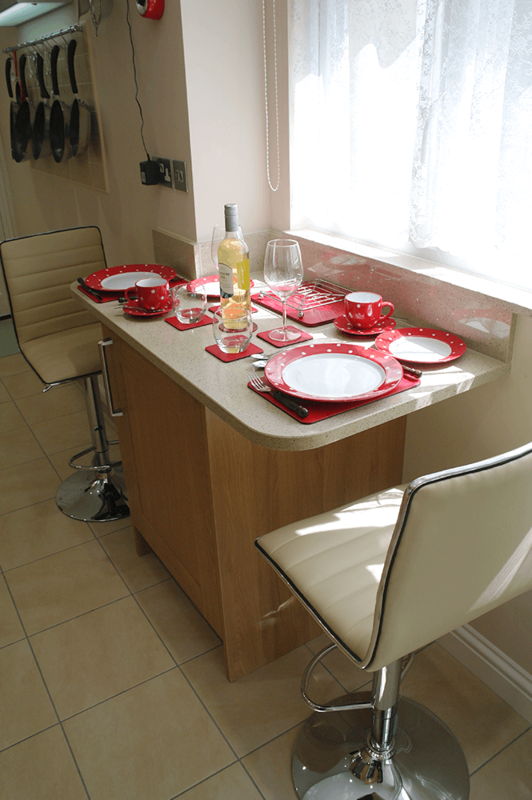 The workman were incredibly respectful on days where my Mother was very poorly and even added a ramp into the Kitchen for us. 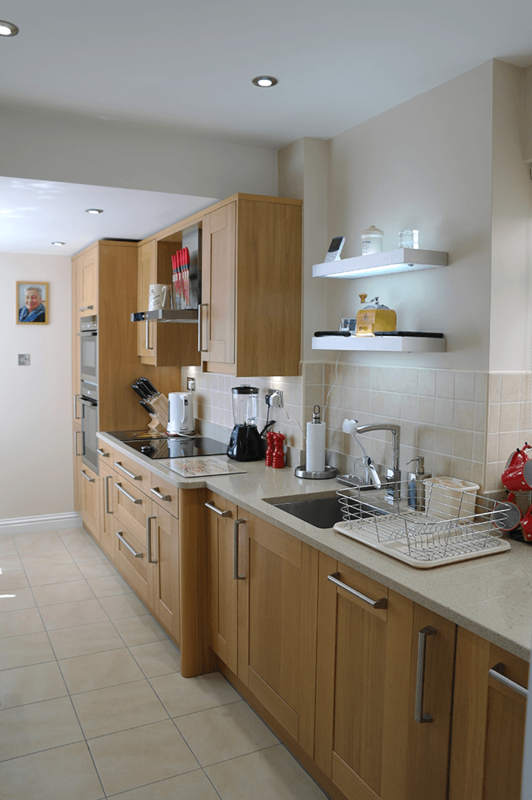 They design of the new Kitchen enabled us to have far more space than before and creating a usable utility space on the side of the Kitchen. 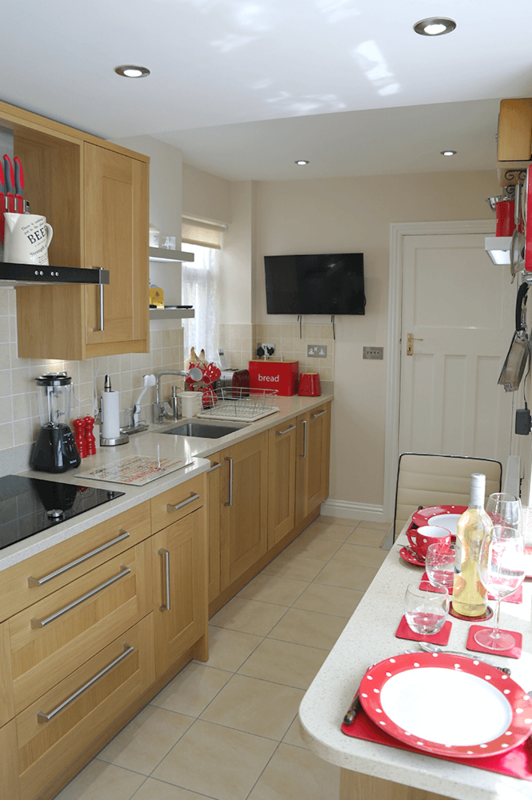 When Kevin and Ashley attended one of our first consultations, they advised us to get the Kitchen and Utility completely insulated as we were clearly suffering from a great deal of Damp on the walls. Since having this, we have not once had any damp! All aspects of the job from start to finish were project managed by KAW and all work carried out was to a very high standard. I will continue to recommend KAW to all of my friends and family! I would like to receive marketing materials & updates from KAW Interior Design.